Brass Deluxe Class Porthole Clock 8"
Antique Copper Deluxe Class Porthole Clock 15"
Antique Copper Deluxe Class Porthole Clock 12"
Antique Copper Ship Wheel Clock 15"
Chrome Ships Propeller Clock 12"
The Brass Deluxe Class Porthole Clock 8" is a classy and quality accent piece to add to any nautical themed room. This charming nautical port hole clock is both functional and stylish. Sporting a beautiful brass finish, this wall hanging clock will accent your nautical home decor perfectly. 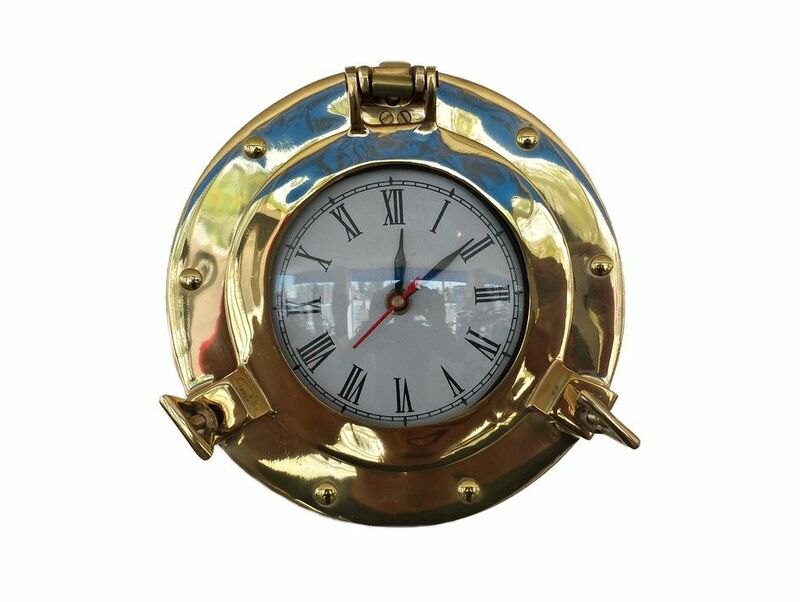 In addition, this Brass Deluxe Class porthole clock opens just as if it were on a ship of the time. Batteries not included. NOTE: Wall mounting hardware not included. Present the nautical enthusiast in your life with the perfect addition to a collection or a wonderful presentation piece with this brass mantel clock. Set into a traditional brass porthole, each of these nautical clocks seamlessly combines nautical style with a classic timepiece. Each brass mantel clock is crafted in historic style, using solid brass favored for centuries by sailors for its durability against harsh ocean conditions as well as its enchanting glow. 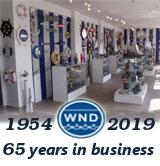 Delight the sailor in your life with a marine clock that is as handsome as it is function, and enjoy their appreciation as they proudly hang this brass mantel clock in the den.